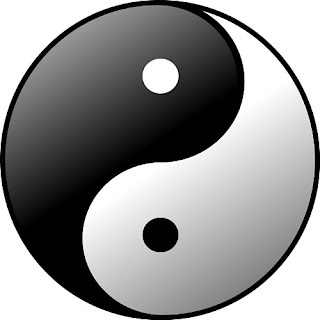 Based on the theory of Chinese traditional medicine, all food has a different taste and role in balancing the Yin and Yang. Foods are divided into cool, cold, warm, hot and natural. Hot food makes your body stronger but also makes your body hot so if you eat too much of it you are likely to get pimples. Cold food calms your body down and helps with digestion and removing toxins from the body, but on the other hand, if you eat too much you may feel less energy. Cool and warm food are not as strong as cold and hot and they can be categorized similar to natural. However, it's best to eat warm food in fall and winter, and cool food in spring and summer. In Chinese cooking it's important to balance out hot and cold ingredients. In cases of fever, choose food with a cold nature. For example, use wax gourd, balsam pear and mung bean to in cases of heatstroke. In cases of colds or flu, select food with warm and hot nature. For example, use cassia bark and fennel when there is cold and pain in the abdomen. The idea is to build up one's health through a balanced diet so that your body can be strong while fighting off and preventing infection or colds. The philosophy behind the Chinese Diet emphasizes prevention and not cure. Rice, corn, peanuts, soybeans, broad beans, red beans, black beans, peas, lentils, sweet potatoes, potatoes, taros, hazelnuts, sliver ear mushroom, wood ear mushroom, Chinese cabbage, shepherd's-purse, kohlrabi, carrots, onions, lemon, plums, figs, grapes, river fish, pomfret, mackerel, carp, crucian carp, abalone, eel fish, loach, eggs, milk, beef, pork, turtle meat, turtle meat, duck.